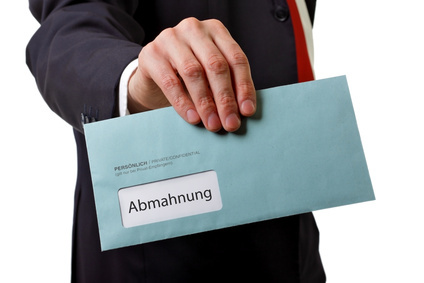 The German law firm, Schutt Waetke, has sent the next wave of file sharing warning letters in Germany. The subject of the letters is the film American Hustle. If you have received a file sharing warning letter, here are some tips on what to do. The German law firm, Schutt Waetke, has sent a wave of warning letters accusing internet users of infringing German copyright law through the use of file sharing websites. The topic of the warning letters is the film American Hustle. Schutt Waetke has been instructed by the copyright holder Tobis Film GmbH & Co. KG. The warning letters contain claims for compensation and require recipients to submit an undertaking to cease and desist the alleged copyright infringement. Schutt Waetke states that its client is prepared to drop all claims upon payment of a settlement amount of €735.50. This settlement amount is composed of compensation of €500, investigation costs of €17.50 and legal costs of €215.00. These sums are based on a claim value of €1000. Don’t feel compelled to accept these claims without critically assessing them first. Often the claims are exaggerated. In such situations, professional legal advice is indispensable, as the undertaking to cease and desist demanded by the opposition often contains binding obligations which can last for years. Furthermore, any assertions made in file sharing warning letters that internet connection owners are liable, under any circumstances, for third party conduct is also not entirely correct. This applies particularly to circumstances in which family members of the same household have exchanged files. Having the matter checked by a legal professional is therefore worthwhile. Our team at WILDE BEUGER SOLMECKE is available to assist you with your file sharing case. Call us on +49 (0) 221 / 951 563 0 for a free initial assessment. For more information, you may wish to read our file sharing special.